As a professional Exhibition & Trade show Lighting factory, We would very like to seek the way to be your qualified lighting supplier. We have been serving customers like Sign-Zone Inc.(US),TECNA DISPLAY LTD(BS), EXPO DISPLAY SERVICE GmbH(GER) for more than 6 years. 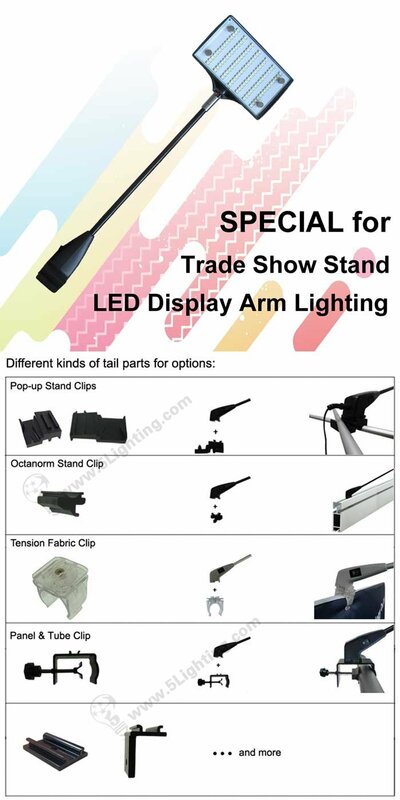 Our products, covering LED/Halogen arm lights, LED lighting Box, LED Strip Lights for Advertising Light Boxes / signage, LED Track lights etc, and the factory price are quite competitive in your market. a): Elegant appearance design, make your graphic vivid . Perfectly apply for various shops, bars, Barber’s , office … application . Good Choice for replace traditional fluorescent tube illumination solution with LEDs . c): Beam angle optional according to lightbox thickness . If any of our products be of interest to you, pls feel free to contact us !